A momentous first year as an ACE NPO with an international collaboration, Carnival of the World, The Steel Band Festival, TV, and a sad farewell. CultureMix kicked off 2018 starting the first year as an Arts Council England National Portfolio Organisation (ACE NPO) with four years of investment helping to raise standards and reach out to new audiences. Reading All Steel Percussion Orchestra won joint 4th place in the UK Steel Band Championships; and appeared on national television for BBC Sports Personality of the Year. CultureMix launched lessons in drum kit, bass guitar, percussion and more as well as seminars and talks on accessing the music industry and how to set up a band. More here. CultureMix Review 2018 – an amazing year in 3 minutes. Dedicated to Dani Richardson. 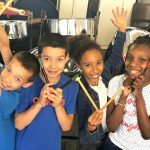 The award winning steel band entertained at parties, weddings, and outdoor events including Reading Half Marathon, Waterfest, Reading on Thames Festival, and Readipop Festival. 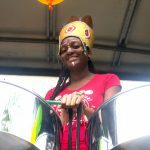 At Reading Carnival RASPO hosted a performance and steel pan music workshop marquee. RASPO released a fourth CD ‘Festive Favourites’ featuring Caribbean style calypso and reggae Christmas carols. Launched at the Calypso and Carols fundraising concerts in Reading CD sales and donations continue to fund the vital free places at music workshops. An international collaboration between Ylê D’Egbá and RASPO combined Afro Brazilian percussion (afoxé) with steel pan music (calypso) for Carnival of the World. The production launched in Reading with a live music stage and the Broad Street Parade inspired by artistic director Mary Genis’s previous trips to Brazil and Sri Lanka. The programme culminated in a Hexagon Theatre performance uniting all the schools at The Steel Band Festival to celebrate the joys of playing in an orchestra. ITV visits RASPO in Reading UK to report on the international collaboration with Brazil’s Ylê D’Egbá. Earlier in the year Reggae artist Junior Watson launched his first album ‘Nadah’ with IYA Rebels at The Peace and Love Concert in the Purple Turtle Bar Reading. Paul Jr Watson is now one of the leading steel pan tuners in the UK. He mentors and supports aspiring pan players and musicians inspiring and enabling them to develop their skills. Promo for RASPO’s fourth CD release for Christmas ‘Festive Favourites’. Mary attended the Reading Cultural Awards in response for nominations for CultureMix in the cultural organisation category and RASPO for the cultural ambassador award. Mary continues her voluntary board trustee work with the Museums Partnership Reading (MERL), Jelly, as chair of Refocus and for Carnival Village Trust (CVT) now responsible for the running of London Notting Hill Carnival. Our cherished Head of Music Dani Richardson suddenly and sadly passed away at the end of August. His exemplary contribution to RASPO’s development over the last twelve years and his positive influence on all those to whom he taught music leaves an indelible legacy on us all strengthening the vision for CultureMix as a leading music organisation. Click here to read ‘My Musical Journey’ in Dani’s own words. 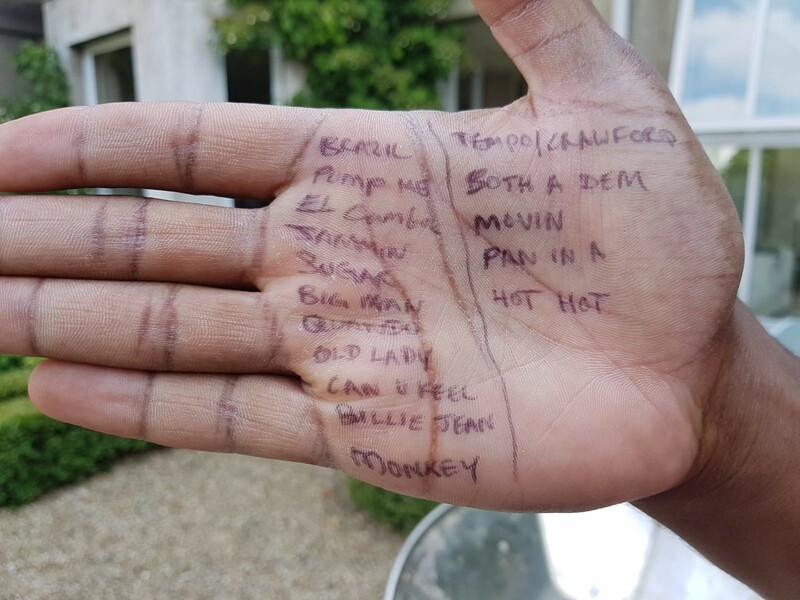 Feature image (top) of RASPO set list written on Dani’s hand. 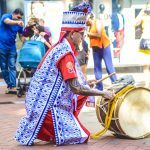 A film made for Reading UK by BBC Radio Berkshire about Reading’s cultural scene from 2016 to 2018 featuring the launch of CultureMix Carnival of the World and Reading All Steel Percussion Orchestra.